Prior to co-founding Petrie Partners, Mr. Rapp was a Managing Director of Bank of America Merrill Lynch in the Global Energy & Power Investment Banking Group. 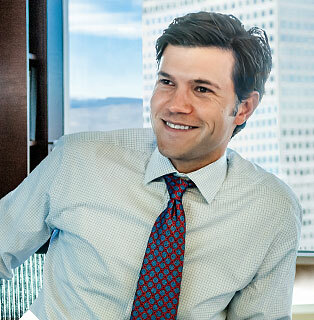 He joined Bank of America Merrill Lynch as part of Merrill Lynch's acquisition of Petrie Parkman & Co. at year-end 2006. Since joining Petrie Parkman in 1999, Mr. Rapp has completed numerous domestic and international upstream, midstream and downstream corporate and asset valuations while working on over 100 completed merger, divestiture, joint venture, restructuring and financing transactions throughout North America, the former Soviet Union, the Middle East, West Africa, South America, Australia and Asia. Mr. Rapp earned his B.A. in Economics and Managerial Studies from Rice University in 1999.